With the exception of the Presidents Cup team event, coming up in Korea in two weeks, the PGA Tour’s 2014-15 season is over. Jordan Spieth’s win in the FedEx Cup playoffs on Sunday brought it to a dramatic conclusion. In the Chicago area, though, there’s still a few events on the October calendar including two that carry fancy titles. The U.S. FootGolf National Championship will be held on Saturday (OCT 3) at the Chicago Park District’s Sydney Marovitz course and the Speedgolf World Championship is Oct. 19-20 at The Glen Club in Glenview. FootGolf, a combination of soccer and golf, has made inroads at courses nation-wide, with the American FootGolf League reporting that it has accredited 440 golf facilities. In FootGolf a soccer ball is kicked into a 21-inch cup. The 36-hole stroke play event at Marovitz is a qualifier for the World FootGolf Championship Jan. 6-10 in Argentina. While FootGolf isn’t really golf, SpeedGolf definitely is. Its defending world champion is Eri Crum, who was one of Tiger Woods’ college teammates at Stanford in the 1990s. In Speedgolf you’re judged on both your score and pace around the course. “It’s an awesome sport, but it needs help to grow,’’ said Crum before giving a recent demonstration over the last three holes at The Glen. He cruised through No. 16, a par-4, in 1:49 and made par, got through No. 17, a par-3, in 62 seconds and made bogey and then made birdie on No. 18 — a par-5 – while getting from tee to green in 2:08. After his Stanford days Crum became a physical therapist and chiropractor. He got serious about golf again after learning about Speedgolf. 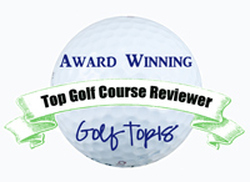 Players must avoid unnecessary delays to be successful at Speedgolf. One of Crum’s top rivals putts one-handed and doesn’t drop his golf bag. None of the players stop to check yardages. Golf bags are made as light as possible with most players using six clubs or less. There are some rule variations. The pin remains in the cup in Speedgolf and there’s no loss of distance for a lost ball. Players go off alone in roughly six-minute intervals. The Speedgolf world record was posted by Christopher Smith, a teaching pro from Oregon, while playing in a competition at another Chicago Park District course, Jackson Park, in 2005. Smith got around Jackson Park in 65 strokes and 44 minutes. Combining the score and time, Smith’s record is 109. Crum’s winning total last year at Bandon, Ore., over 18 holes was 121 – a score of 76 in 45 minutes. The elite division at The Glen will have about 30 competitors, including some from Australia, New Zealand, Sweden, Iceland, Denmark, the United Kingdom and Canada. A $40,000 prize fund will be on the line in the elite division. An amateur division with age group competition will also be offered at The Glen. Entry fee is $150. Three Illinois players survived stroke play qualifying and first-round matches in this week’s U.S. Golf Association national championships. 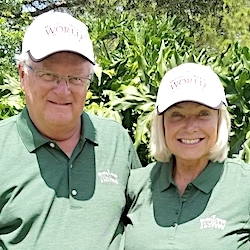 Curtis Skinner of Lake Bluff and Dave Ryan of Taylorville advanced in the U.S. Senior Amateur at Hidden Creek in New Jersey while Palatine’s Jean Cheszek moved ahead in the U.S. Women’s Senior Amateur at Hillwood in Tennessee. Vince Antoniou, of North Barrington, survived stroke play at Hidden Creek before losing to Ryan in their first-round match. Ryan became the first three-time winner of the Illinois Senior Amateur title earlier this month. The last of the four major championships for Illinois PGA members – the IPGA Players Championship – will be played Monday and Tuesday (OCT 5-6) on the North Course at Eagle Ridge Resort in Galena. Only an Oct. 13 qualifying session for the U.S. Amateur Four-Ball Championship remains on the Chicago District Golf Assn. schedule. It’ll be played at The Glen Club. The Addison Senior Open is on tap at the Links & Tees facility on Sunday (OCT 4) and Nickol Knoll, in Arlington Heights, will host a senior fall scramble next Wednesday (OCT 7). Little City, in Palatine, has announced that it will open a golf academy for adults with developmental intellectual disabilities in mid-October.